I was binge watching TED videos again the other night and watched one talk by musician Amanda Palmer called, "The Art of Asking." Palmer was the lead singer, pianist, and lyricist/composer of the duo The Dresden Dolls. She later launched her solo career after dumping her record label and using Kickstarter to crowd fund one of her music projects. That's what Palmer's TED talk was about: artists becoming comfortable with freely sharing their art and asking for help instead of selling it. And what helped Palmer develop her own art of asking was five years as a street busker known as the 8-foot Bride. She used to painter her face white, don an elegant antique wedding gown and stand on a crate in city squares. When a passerby dropped money in her bucket or hat, she would make eye contact and offer them a flower in return. It was those years of making contact with strangers that Palmer says helped her develop her rapport with her audiences as a musician. Although I found Palmer's TED talk fascinating, it was her story of being the 8-foot Bride that caught my attention. When she flashed a photo of herself dressed as the bride, my mouth fell open. Fifteen years ago, I spent a week in New Orleans to celebrate my 41st birthday. 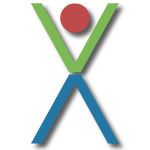 I was alone and at a point in my life (middle aged) where I wondered what I was supposed to be doing with my life. I spent days just wandering around the Quarter listening to street musicians and people watching. And while passing through Jackson Square I spotted this amazing street performer dressed in a vintage wedding gown standing as still as a statue. I put money in her bucket and she came alive, made eye contact and handed me a flower. I remember feeling the brief connection Palmer described in her TED talk. Then I snapped several photographs using my 35mm SLR camera (digital had yet to catch on). When I returned home and had the film processed, I discovered that the back of the camera had popped open briefly exposing some of the film. The shots of the 8-foot Bride had the film brackets burned into them. But rather than ruining the shots, it gave them this artistic feel that I really liked. I ended up printing the image at the top of this post and framing it. It has been displayed in my home for years and is one of my favorite images. It has always reminded me of New Orleans and that point in my life. 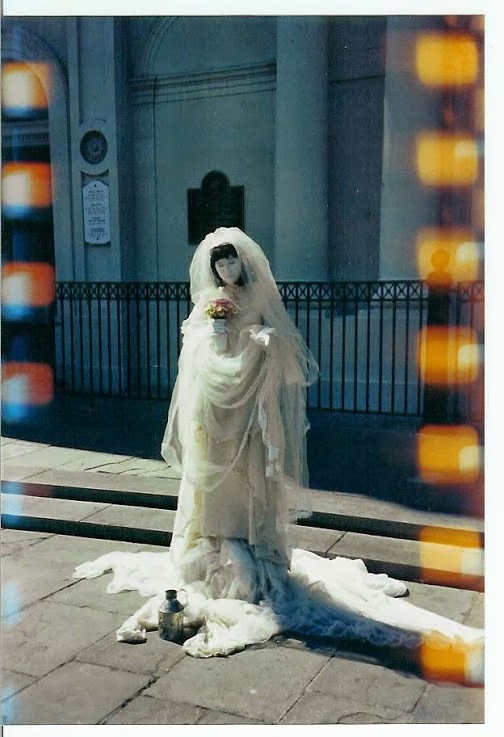 Years later, when I returned to New Orleans, I looked for the 8-foot Bride. But she had been replaced by other living statues. I wondered for years who the person behind the white paint was. I romanticized that it had actually been a spirit who I had had an encounter with and captured on film. And then I saw Amanda Palmer's TED talk. Though I was a bit disappointed I hadn't encountered a ghost, I was fascinated that I had actually met Amanda Palmer. I think my story is a testimony to that connection Palmer talks about in her TED video. 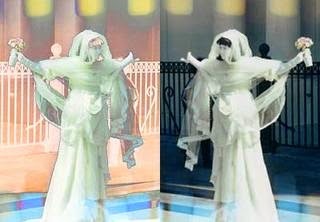 I was so moved by my encounter with the 8-foot Bride 15-years ago, that I've displayed the photo in my home since. Her art became my art. Amanda, I thank you for that. Your art touched me.